Kitchens are the most commonly upgraded rooms in a house and Kitchen Solvers franchise owners offer high quality custom kitchens that are priced competitively with big-box home stores, as well as high-quality cabinet refacing, which transforms sturdy cabinets rather than completely ripping them out. Kitchen Solvers pioneered high-quality cabinet refacing after realizing that cabinet boxes are often in great shape and can be refaced at a fraction of the cost of a full replacement. Those savings create a massive competitive advantage for Kitchen Solvers franchise owners, who maintain a profit margin of around 40 percent. Remodeling firms often compete for customers by whittling away their profit margins, but Kitchen Solvers franchisees can offer excellent prices while keeping their profits healthy. Remodeling activity is growing quickly! 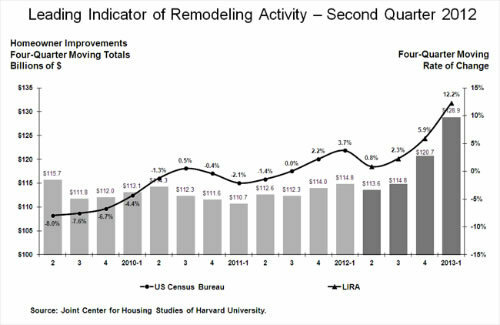 The Joint Center for Housing Studies at Harvard University says remodeling activity rebounded strongly at the end of 2012, with spending growth of more than 8 percent — and the growth accelerated to 10.6 percent in the first quarter of 2013 and is expected to reach nearly 20 percent growth by the third quarter of 2013. Several trends are causing the boom: Homeowners are finally tackling projects they delayed during the recession; buyers who snap up foreclosures are setting aside money for immediate remodeling needs; and Baby Boomers are reaching retirement age. At the same time, the recession and housing collapse has led to an increase in thrift. Value is driving decisions — and that's what Kitchen Solvers delivers. No Contracting or Woodworking Experience Needed! 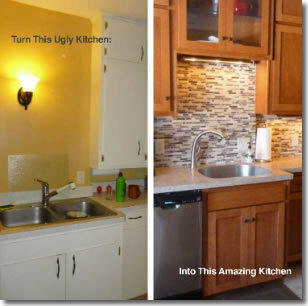 A wide variety of people own successful Kitchen Solvers franchises — people with interior design backgrounds, Realtors, home builders, woodworkers, contractors and people who simply love kitchen design. Some of our most successful franchise owners are new to the remodeling industry — it's more important to have a creative eye and a passion for helping customers than to know how to build a kitchen. Our extensive training can give you the knowledge to match your passion. 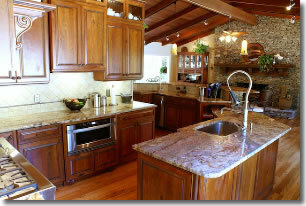 Click on Request Information for FREE info on how to open a Kitchen Solvers Cabinet Refacing franchise today! Please Note: This Kitchen Solvers Cabinet Refacing franchise opportunity and other franchise business opportunities, businesses and franchises for sale on this web site are not to be considered as an "offering", "franchise offering", suggestion or recommendation by Franchise Leader™. This advertisement depends entirely on the truthfulness of the information provided by our advertisers which includes, but is not limited to, franchisers, franchise brokers, franchise consultants and business brokers. Franchise Leader™ recommends that you consult a lawyer, financial consultant, accountant or professional advisor before buying a franchise or business opportunity or any type of business. By using this form or any part of our website, you have agreed to all terms and conditions of Franchise Leader™. Please review our Terms & Conditions for more information.